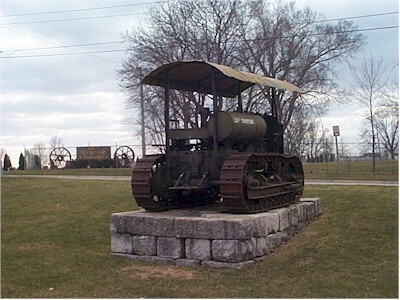 Here's an old bulldozer outside of the maintenance shop that we visited today. Upon closer inspection, we noticed that it had leaked a bit of oil onto the rocks below. It didn't seem to be causing much harm, though. Southern Iowa seems like it would be a nice place to live. The communities are clean and well maintained, and the people are friendly. We experienced all sorts of weather down here, with temperatures from 20 to 60 degrees Fahrenheit, sunny skies, cloudy skies, rain, snow, freezing rain, and hail. And this was just in the first few days of the week!